I created a clone of my main form to test changes with so as not to possibly affect the data. The new form name is "SGI Adult Clone". 1) I inserted page breaks to help make the form easier to use. The page breaks show online and when I choose the preview function. Excellent! But when I create a pdf form (some of our people need to use a hard copy) the page breaks do not translate and the form is 5 pages with much smaller print vs. the 7 pages that the form is. This makes the handout form look very unorganized. 2) The survey matrix in the created pdf does not include grid lines like it did in FormsCentral. Is there a way to edit this PDF and have grid lines? This helps for people filling out a hard copy. Also, the column headings look left justified while the radio buttons are centered. Can the column headings also be centered? 3) I removed the instructions from each survey heading. When exporting to Excel, the instructions are no longer part of each question. However I still only get the first 5-6 words of the survey question. Is there a way to get the entire question? I am assuming I will have these issues with my two other forms as well. Regarding your question 1, just to confirm, you would like to print your form as a PDF (not a fillable one), but as a hard copy that can be written? If that's the case, you can view your form and press CTRL+P to print it. 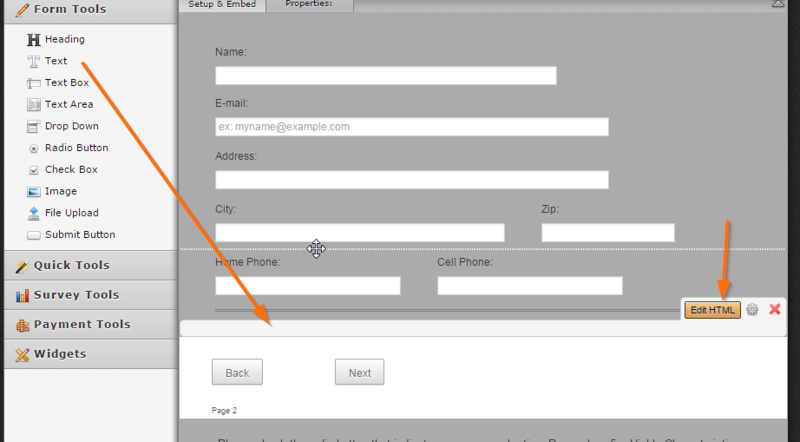 But the problem is the specific page breaks, it doesn't work like how the form is shown in live view. I've cloned your form for testing purposes. You can check it here: http://form.jotformpro.com/form/51625251248957. Try printing it by pressing CTRL+P. It should show 7 pages. You can clone it and check how I set it up. 1. First, I added a "Text" field, in the HTML editor, I added the div element. I duplicate it and added it specific parts of the form where I want the print page break to happen. 2. I then use the custom CSS code and added it in the Form Designer Tool. Do let us know if you need more information about your first question. 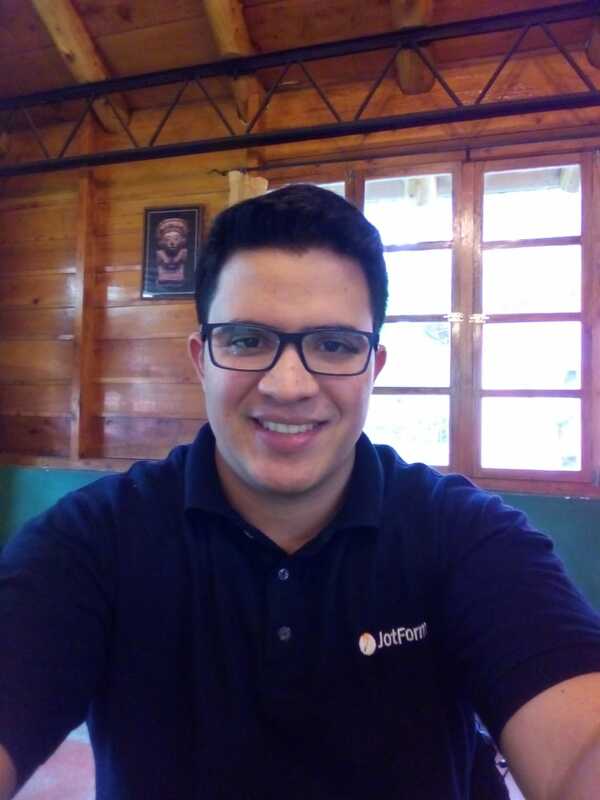 To better assist you, I went ahead and opened a separate thread for your concern, please refer to this link instead: http://www.jotform.com/answers/654908. We will address it shortly.